The Apple voice controlled service has been linked to movie times and locations as well as ticket selling. The latest surprise technology news from Apple Inc. has included a new feature for moviegoers, as the latest iOS operating system (version 6.1) has included a new connection between Siri and the Fandango m-commerce app. When asking about movies currently playing in the theater, Siri displays show times and nearby theaters. Apple mobile device users with Siri voice technology personal assistant will be able to ask about the latest movies that are playing so that they can receive information about the films and local theaters that are playing them. Should they wish to purchase their tickets, they can do so through Fandango’s online ticket seller m-commerce app. The Fandango m-commerce application is opened directly by Siri so that the tickets can be purchased. If the app is not yet installed on the Apple device, the user will be prompted by Siri to perform the download so that the tickets can be purchased through m-commerce. The tickets can be purchased in a paperless way and stored within the Passbook mobile wallet. That produces a QR code which can be displayed to the ticket takers on the mobile device screen, and then scanned to allow entry. What is not yet known is whether or not there is financial benefit provided to Apple out of this partnership with Fandango. 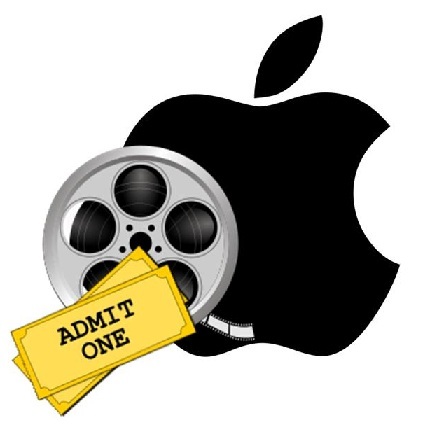 The company has been asked whether it is taking a percentage of the Siri generated movie ticket sales, for instance. However, both Fandango and Apple have not provided any answers or information on the financial nature of the relationship.